There are several suspension systems used in motor vehicles. The job of a suspension is to soften or eliminate the uneven surfaces and bumps we drive over. A suspension does this by absorbing the road bumps into springs and shock absorbers. The most common suspensions can be put into several categories, coil springs on control arms with shock absorbers, combined coil overs, torsion bars with shock absorbers and leaf springs with shock absorbers. Suspensions also have to cope with downward forces from vehicle braking and the upward lift from acceleration. As well as making the ride more comfortable the suspension is designed to keep the tyre tread in contact with the road surface irrespective of the driving conditions. The suspension assists our braking ability and steering accuracy. The modern shock absorber is a complex part that has been highly developed over the last century. A simple way to think about how a shock absorber works is to imagine the difference between the pain caused by being hit in the head with a cricket ball and being hit in the head with a ripe tomato. All suspensions have numerous bushes, joints and pivot points. The original manufacturer’s bushes are normally designed with comfort and noise as the most important feature. While the original bushes and joints are built well and in most cases last a reasonable amount of time most after market bushes and joints are aiming to be more driver friendly by using more rigid materials such as nolathane. If the driving conditions are severe we recommend the after market nolathane bushes as an alternative to genuine style bushes. 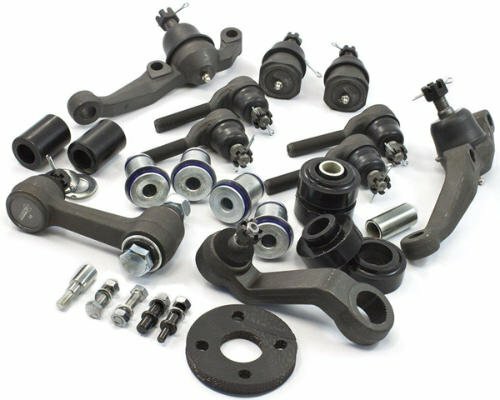 The after market manufacturers also design and develop special bushes and suspension parts to replace some genuine parts that have a known design fault. We at UMR Engines have access to information about innovative suspension parts that are manufactured to suit some makes and models. We can diagnose and repair all suspension problems. We also offer safety and RWC inspections. UMR Engines has highly trained technicians that can replace your suspension bushes and ball joints. Call UMR Engines at Slacks Creek Brisbane for more information. Springs are an important part of the suspension and they can wear out and sag. 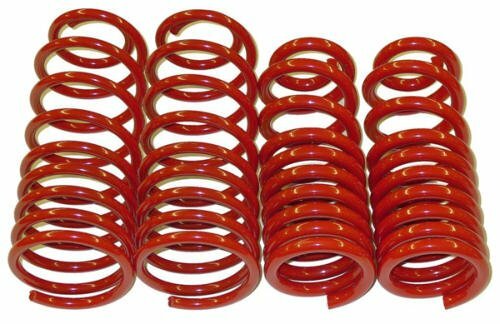 Poor springs will effect the ride and steering and should be replaced when defective. Some loading conditions and driving conditions can require better performance springs than supplied by the original manufacturer. The manufacturer has to supply a spring that gives a comfortable ride under normal conditions. If your requirements exceed normal conditions many good quality aftermarket performance springs are available. Some performance manufacturers such as King Springs, Pedders Springs, Lovells Springs and several local manufacturers make excellent products. We can supply and fit springs that suit your requirements and budget.